build visual literacy skills & content knowledge Every Day! Search for the perfect GoPo Class Starter! 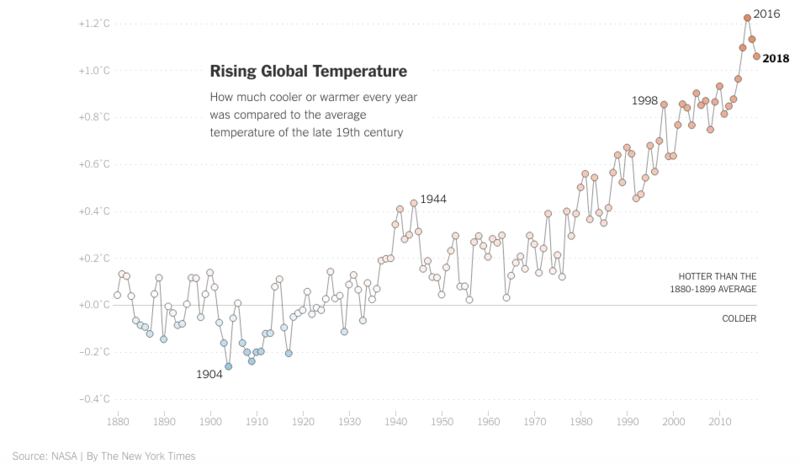 How much warmer is the planet now than it was in 1980? How accurate was your prediction? What story does the chart tell? Explain whether this story is good news. What is the most significant cause of the trend in the chart? What is the most significant consequence of the warming of the planet? The people who made most of this climate mess (my generation and older) won’t be around to suffer from it as much as your generation (and younger). The people who made most of this climate mess (the wealthy) won’t suffer nearly as much as the poor. What do you think about that? 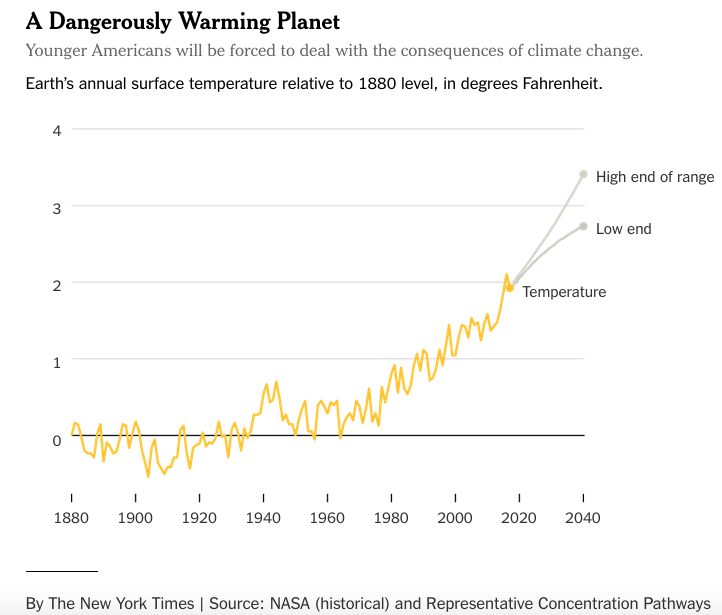 What is the Trump administration’s position on whether the real information in the chart above is even true? What is the Trump administration’s position on what we should do about the trend in the chart? The Trump administration has nominated oil lobbyist David Bernhardt to run the Department of the Interior, whose role it is to “manage and sustain” America’s lands. Describe the confirmation process that Bernhardt will have to go through to become the Secretary of the Interior. Given the fact that the U.S. House of Representatives is Democratic controlled, and the U.S. Senate and the Presidency are both Republican controlled, do you think Bernhardt will likely become the Secretary of interior? What are some tactics interest groups could take to try to fight his nomination or to generally limit climate change? List some government department, agencies, or groups that have a role in measuring or regulating climate change. Explain how being a federal system impacts our ability to tackle climate change. Climate change is clearly one of the most significant threats to our future. What about our political system has made it so hard to do anything to solve this problem? 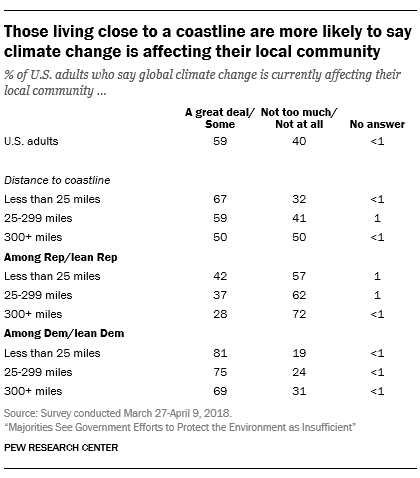 Climate is never mentioned explicitly in the U.S. Constitution (neither were elevators, airplanes, self-driving cars, Intercontinental Ballistic missiles, or ROOMBAs). What clause in the U.S. Constitution empowers the U.S. government to tackle climate change? Explain why the young and the old have such different opinions about climate change. Rep. Alexandria Ocasio-Cortez released a Green New Deal outline today. In our divided government, how likely is this New Deal to become a reality? 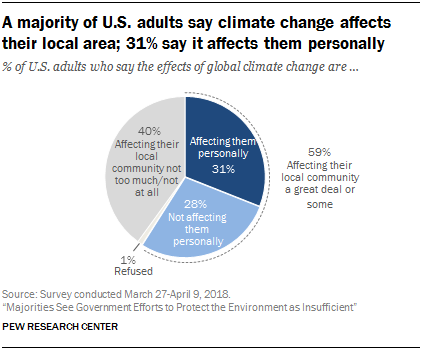 In a democracy, public opinion on an issue (climate change) and public policy on that issue should be aligned - maybe not perfectly, but at least closely. 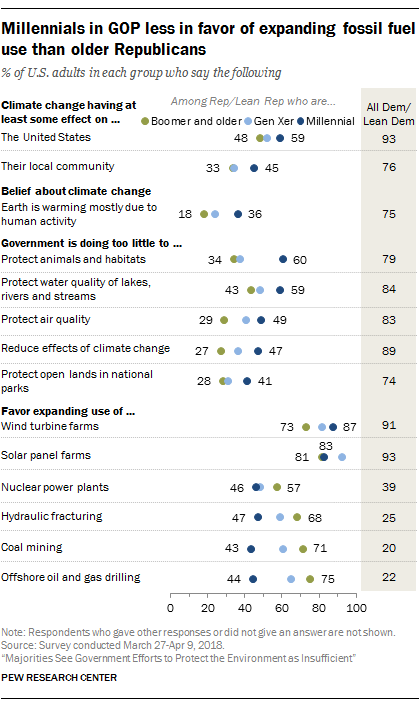 Given that American pubic opinion does not closely match U.S. public policy regarding climate change, what claim would you make about the level of democracy in America? What is one policy the government could implement to help ameliorate the problem of climate change? What is the most effective thing you could do to fight climate change? In question #19 you were asked to list the best way to fight climate Change. Take one step towards that action now and share your step in class or online.